Stefan Lederer is a co-founder and CEO of Bitmovin, a company providing products that solve complex video problems for leading media companies worldwide – in a time where the video and television market is at an inflection point. He founded Bitmovin out of research and standardization around MPEG streaming format, co-creating the MPEG-DASH standard that accounts for more than 50% of the US internet traffic today and is used by Netflix, Youtube, Hulu, and others. Bitmovin is a YCombinator startup backed by Atomico (led by the founder of Skype), as well as industry leaders, like the former VP of Engineering at Netflix, former CTO of Cisco, founder of Unity3D, and others. Stefan has more than 25 research papers and 10 patents in the field of multimedia delivery and networks and was named to Forbes Austria’ 30 Under 30 List in 2017. He is a regular speaker at industry conferences and active participant in multimedia standardization and research. Stefan graduated in computer science and business administration from the Alpen-Adria University Klagenfurt (Austria), and previously worked for McKinsey, IBM and Dolby. 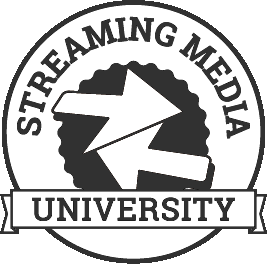 Watch all of Stefan Lederer's past Streaming Media presentations and interviews on the Streaming Media Conference Video Portal.